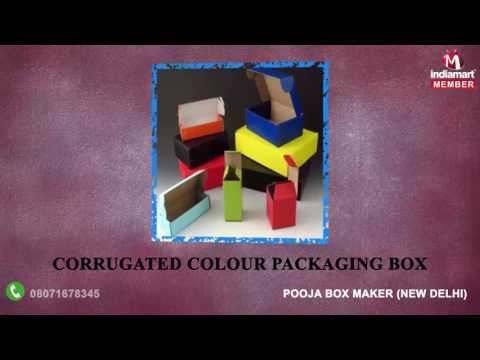 Known for manufacturing, supplying and trading best quality Packaging Products, Pooja Box Maker was established in the year in the 1994 at Delhi. The product range offered by us is inclusive of Packaging Box, Corrugated Box and Paper Bag. Owing to their resistance to water, sturdy construction, excellent load barring capacity, these packaging boxes are highly demanded. In addition to this, we are one of the prominent services providers of optimum quality Printing Services. Due to its printing effectiveness and timely execution, the offered range of services is highly appreciated among our customers.